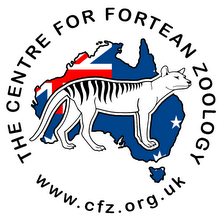 Centre for Fortean Zoology Australia: The Spirit House - where are they now? (The) Spirit House has 50,000 bottles containing half a million specimens. They are used for reference. Some are seventy years old. By renewing spirit every few years they will keep indefinitely. Card index system makes them quickly accessible. 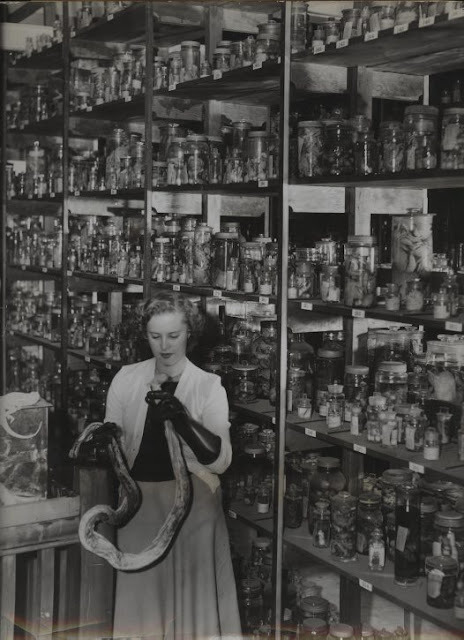 Museum assistant examines python for identification and cataloging. Specimens are vital to work of museum in providing ready means of comparison and identification. Photo circa 1950s, taken at the Australian Museum. 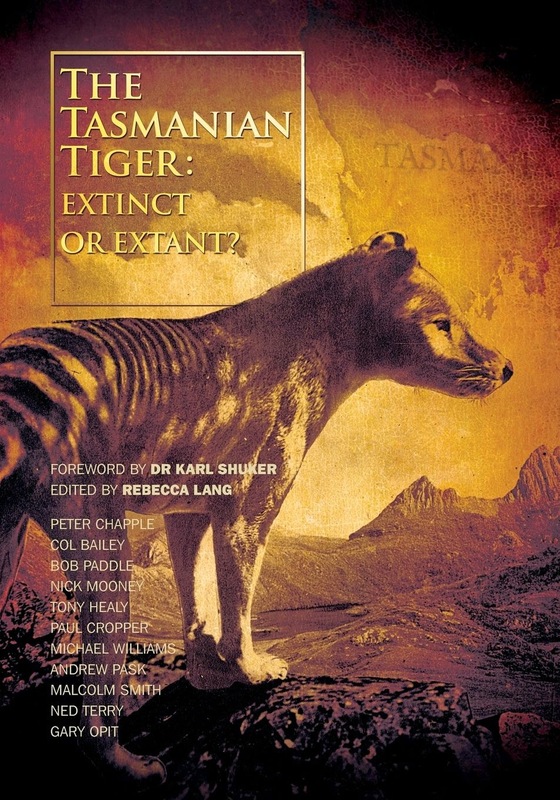 So where are all these Australian Museum herpetology specimens now? What became of them?